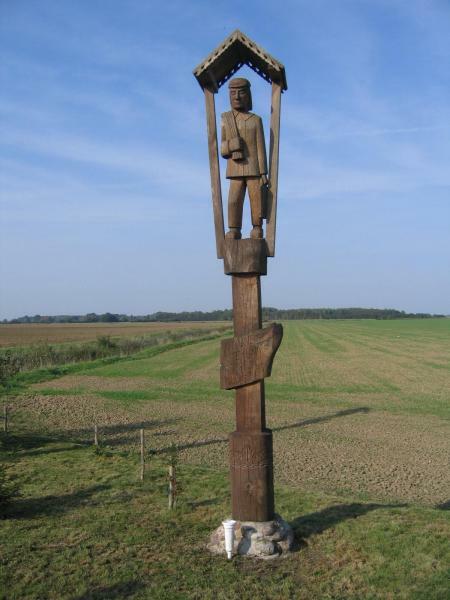 This Pole to a book-smuggler Steponas Povilionis (1862–1937) was built in the former Gripkeliai rural field, near a birch grove. On the other side, we can see once intended to destroy a graveyard on a sand hill. 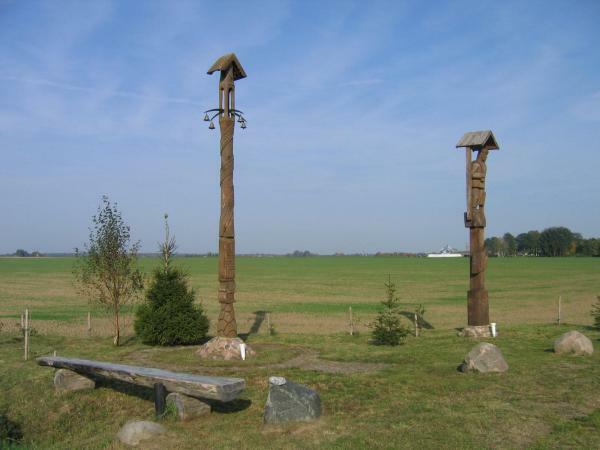 Beside the roofed pole a bench is built, there are some planted trees and some fieldstones are placed there. 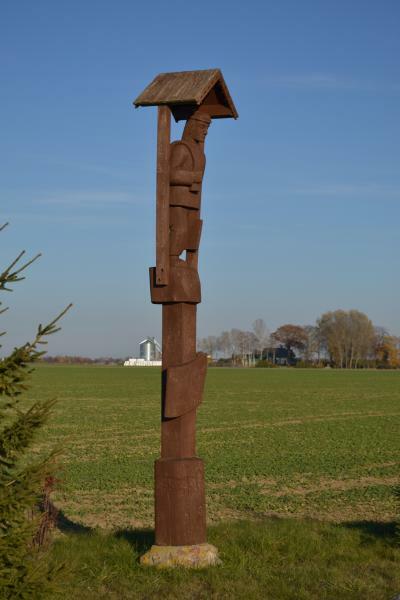 The main sponsors were Gripkeliai farmers Marija and Jonas Steponavičiai and the monument’s author Vytautas Jackūnas. 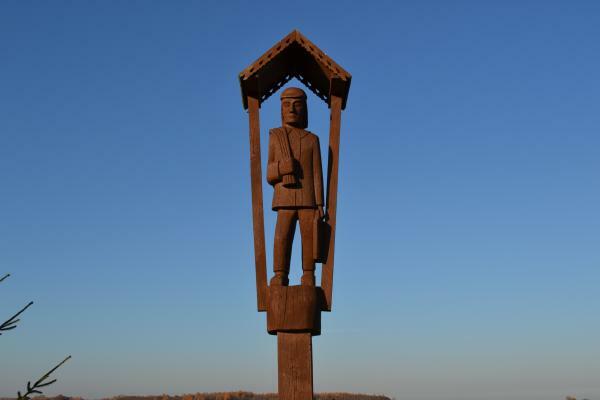 It was unveiled in June 2009 and consecrated by the Saločiai parish priest Eimantas Novikas. 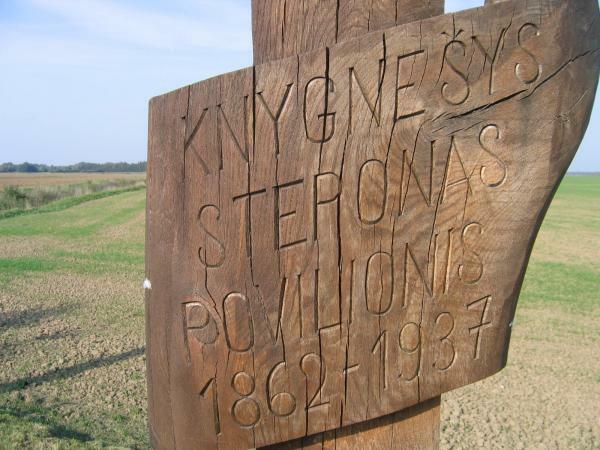 In 1892, Steponas Povilionis acquainted with a famous book-smuggler Jurgis Bielinis and began distributing forbidden Lithuanian books and newspapers. There is a written recollection of a book-smuggler Steponas Povilionis about a Lithuanian newspaper Baltasis Erelis ("White Eagle") edition: "In my house, there used to be a book warehouse of Bielinis, which continuously increase or decrease in volumes. In autumn 1896, Bielinis brought from Prussia a small printing press and decided he wanted to publish a newspaper of his own. I made a draw for letters, and Bielinis taught me to assemble them...".